In 1998, the Oklahoma Producer Grant Program was created to offer Oklahoma farmers and ranchers grants for researching or demonstrating innovative farming practices. The Oklahoma Producer Grant Program awarded 48 grants between 1998 and 2008. Results were shared with the public at over 20 field days, and a series of free educational fact sheets are available online. Farmers and ranchers all over the state have had projects funded, for both research and demonstration. Projects addressed at least one of the eight priority areas of sustainable agriculture, such as improving water quality, minimizing risk by trying innovative marketing strategies, building soil and managing pests sustainably through organic farming practices, and looking at new crops adapted to Oklahoma conditions. Topics included rotational and multi-species grazing, sunflower biodiesel, vermicomposting, alternative crops and eggmobiles. The program required collaboration with ag specialists from Extension, NRCS and other non-profit organizations in the state. 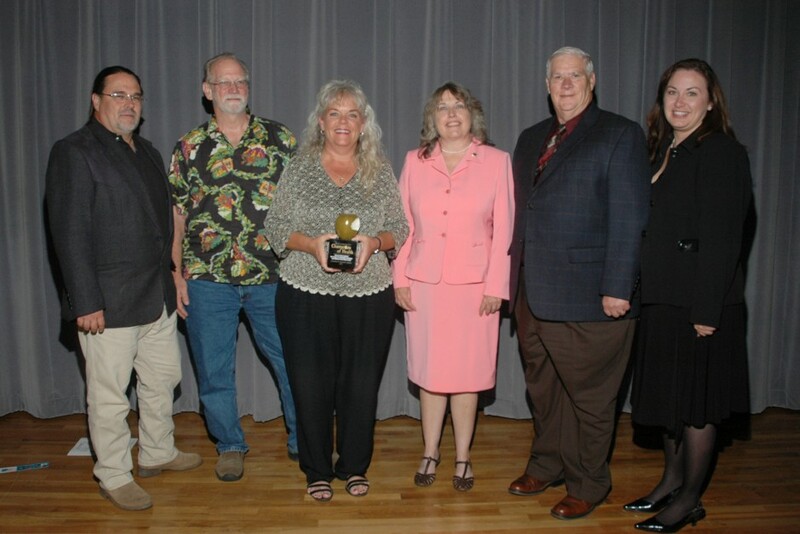 For its efforts in helping Oklahoma producers improve the quality of our natural environment, the program received an Award of Excellence in 2000 from the Keep Oklahoma Beautiful organization. 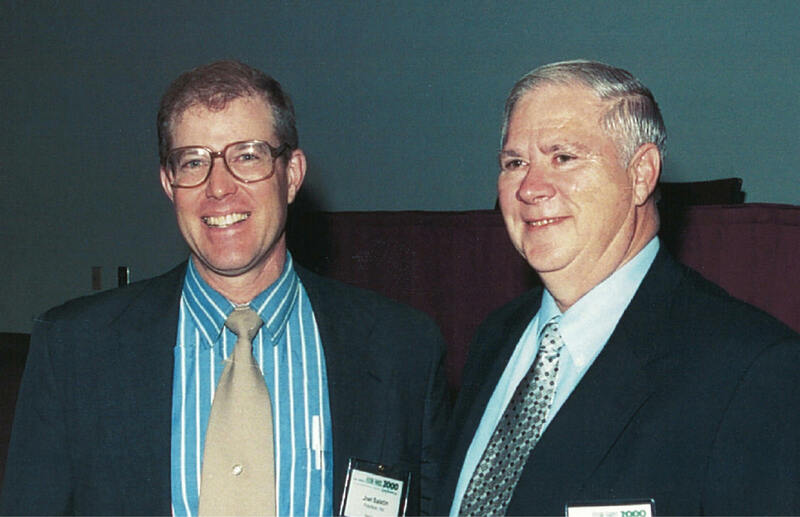 In 2001 Kerr Center president Jim Horne was named co-chairperson of the Oklahoma Food Policy Advisory Council. The council was a joint project between Kerr Center and the Oklahoma Department of Agriculture, Food and Forestry. The council was comprised of a diverse array of Oklahomans. Its first project addressed improving nutrition in our schools while at the same time creating opportunities for farmers through a farm-to-school program. In such programs, school cafeterias serve high quality, fresh produce bought from local farms. The Kerr Center and the Oklahoma Food Policy Council worked for five years to establish a state farm-to-school program. Along with the delicious fresh fruits and vegetables come lessons about food and nutrition, even gardening and cooking. Kids get excited about healthy food, and their eating habits change for the better. Seeing the program as a “win-win” for both school kids and farmers, the council organized a pilot project in 2004 and 2005. The success of the pilot, along with the Kerr Center’s extensive educational outreach and the support of children’s health advocates, led to legislation in 2006 establishing a state farm-to-school program, one of only a few in the nation. Since then the program has expanded all over the state. For its groundbreaking work on the farm-to-school program, the center and the food policy council received the Champion of Children’s Health Award in 2007, given by a consortium of health organizations in the state. The Oklahoma Food Policy Council was also named a “Partner in Advancing Public Health” by the National Centers for Disease Control and Prevention (CDC). The award recognizes “substantial contributions by a state or local partner” to the state’s efforts to prevent obesity and other chronic diseases. Since 1985, the Kerr Center has worked with farmers and communities to establish viable community foods projects such as farmers’ markets. In 2002, the center turned its attention to the larger food system, from farm to table. 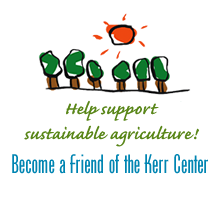 In 2004, the Kerr Center received a grant from the USDA’s Community Food Projects Initiative, a national competitive grant program. The Kerr Center project “Building a Foundation for Food Security in Oklahoma” was the first project in Oklahoma to be funded by this program. Along with farm-to-school efforts, the grant funded an assessment of Oklahoma’s food system, in which basic information about food security, health and agriculture in the state was compiled in a user-friendly format. The report— Closer to Home: Healthier Food, Farms and Families in Oklahoma was published in 2007 as an Oklahoma Centennial Report. In 2008, a second community foods grant was awarded to Sustainable Green Country to support a Buy Fresh Buy Local campaign in northeastern Oklahoma, and to support school gardens. The Kerr Center brought Buy Fresh Buy Local to Oklahoma and has provided staff and web support to the campaign. In 1996, the Sustainable Rural Development and Public Policy program was established to assist rural citizens and decision makers. In establishing the policy program, the Kerr Center began to expand its educational programs both geographically and conceptually. The program prepared and distributed information on issues such as the impact of CAFOs, biotechnology/biodiversity, farmland preservation, fair, competitive markets, and food policy. It also sponsored educational events in tandem with the Rural Community Care Task Force of the Oklahoma Conference of Churches, and with the American Farmland Trust and the Trust for Public Land. The Kerr Center has also done extensive work on farmland preservation, sponsoring workshops and supporting Land Legacy, Oklahoma’s leading land preservation organization. The business of the Kerr Center is education. We offer information about issues in sustainable agriculture and food policy, as well as Kerr Center events and programs. The Kerr Center accomplishes this through both the spoken and the written word, at events and in cyberspace. Publications are available on line or though our office (many are free of charge). These include Field Notes, the Kerr Center newsletter, reports, facts sheets, brochures and information packets. The guidelines formulated in the late ‘80s to evaluate the sustainability of the center’s projects form the basis of the book by Kerr Center president Jim Horne and Communications Director Maura McDermott, The Next Green Revolution: Essential Steps to a Sustainable Agriculture, published in 2001 by Haworth/Food Products Press.) Written to appeal to a broad audience, he book has been called a must- read for anyone involved in agriculture, students, policy makers, indeed anyone interested in their food and the future of agriculture. The Kerr Center also sponsors and organizes educational events such as workshops, short courses and conferences. Major conferences have included the Oklahoma Rural Development Conference in 1997 and Bringing in the Sheaves: A Symposium on Hunger, Farming, and the Fairness of American Food System. From 2000 through 2008, the center sponsored the Future Farm series of conferences every two years. These popular events have featured some of the most interesting and innovative people involved in sustainable agriculture and food policy from around the country. The Kerr Center was honored for its educational efforts by the Oklahoma Sierra Club in 2002. In 1998, the Kerr Ranch was re-christened the Stewardship Ranch. Conserving natural resources with an emphasis on clean water, is a major focus on the Ranch. To that end, staff specialists are implementing a number of “best management” or conservation practices. Developing buffer strips along waterways is one such project. Upgrading habitat to benefit waterfowl and fish, instituting cell grazing, building limited access watering points and freeze-proof watering tanks, and building a stabilized stream crossing (the first in Oklahoma) are other efforts. Extensive tree planting has formed the core of the center’s agroforestry project. The Stewardship Ranch won a prestigious Merit Award at the 2000 national meeting of the Soil and Water Conservation Society for its conservation efforts. The Kerr Center’s beef cattle program has the goal of developing a sustainable production system that balances production level with production cost. The system must be forage-based and rely on grazing management practices to maintain soil fertility and promote plant diversity. The Kerr Center uses a combination of modern and heritage breeds of cattle, all selected based on their compatibility with the climate of southeastern Oklahoma. A herd of heritage-breed Pineywoods cattle on the Cannon pastures accounts for about a third of the Center’s beef cattle count, with the remainder made up of an Angus/Gelbvieh herd at the Headquarters Ranch. “Rotation” and “pasture” are watchwords of sustainable management for the Kerr Center’s livestock programs, which work to develop animals that thrive with minimal inputs in the vegetation and wildly varied weathers of eastern Oklahoma. Horticulture projects from 1997-2008 included demonstration plots of blackberries, table grapes, Muscadine grapes and blueberries. Several field days were held to share our experiences.